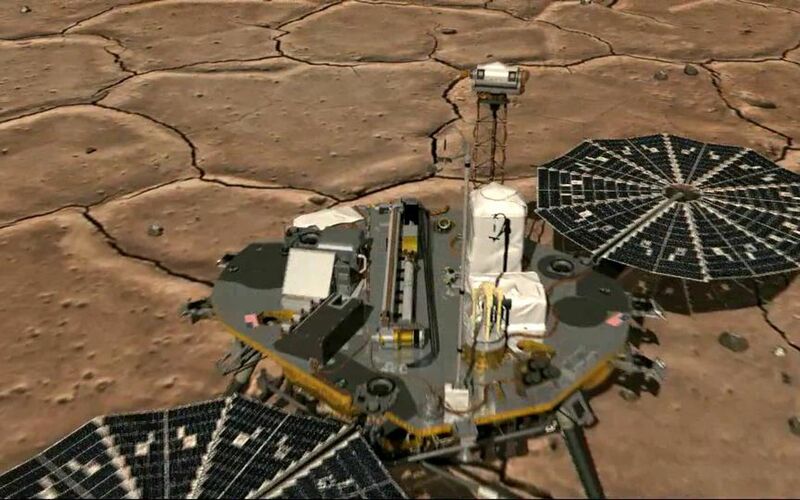 This artist's animation of an imaginary camera zooming in from above shows the location of the Robotic Arm Camera on NASA's Phoenix Mars Lander as it acquires an image of the scoop at the end of the arm. 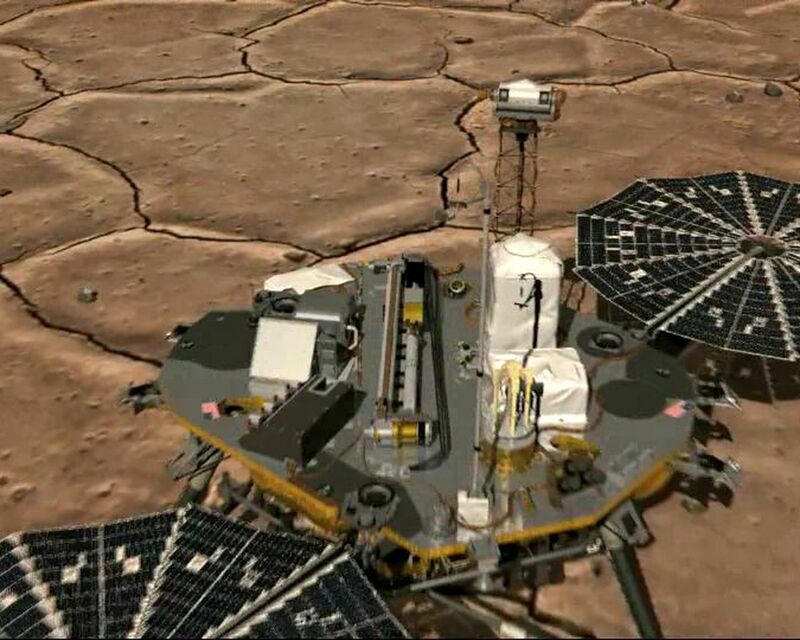 Located just beneath the Robotic Arm Camera lens, the scoop is folded in the stowed position, with its open end facing the Robotic Arm Camera. 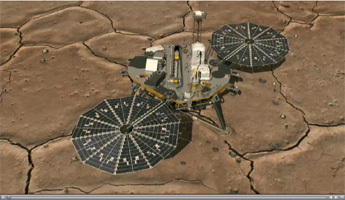 The last frame in the animation shows the first image taken by the Robotic Arm Camera, one day after Phoenix landed on Mars. 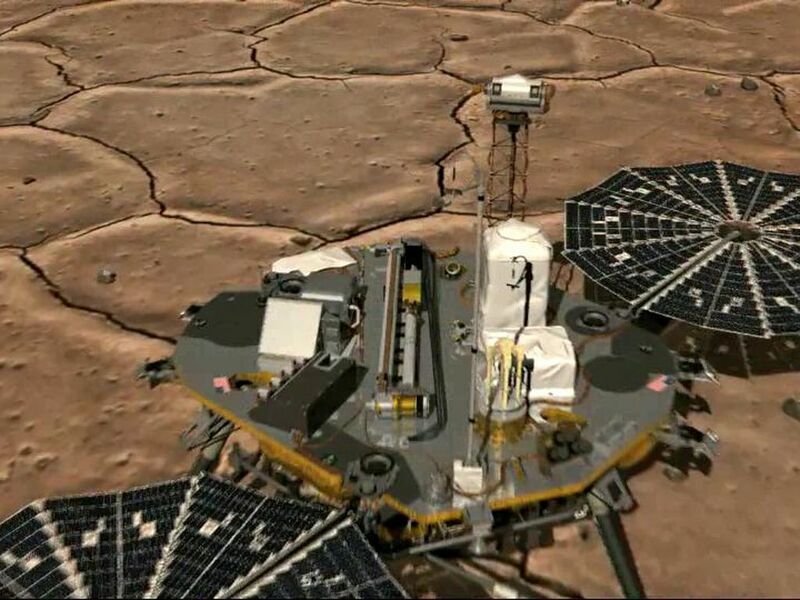 In the center of the image is the robotic scoop the lander will use to dig into the surface, collect samples and touch water ice on Mars for the first time. 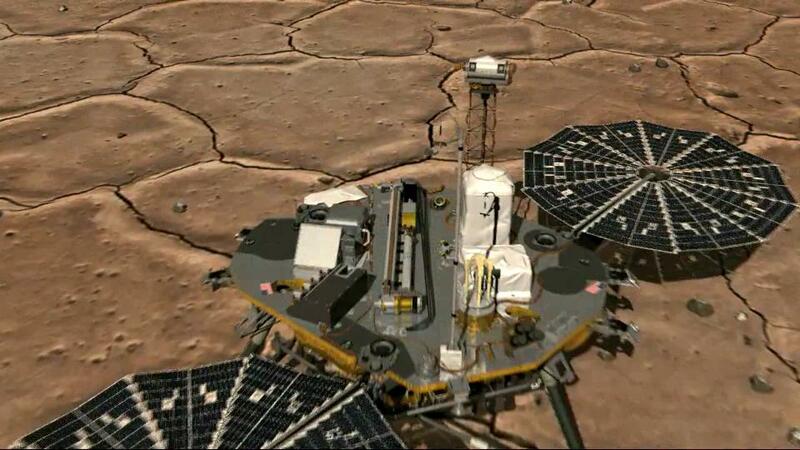 The scoop is in the stowed position, awaiting deployment of the robotic arm.